The MEZZO single and multi-channel systems provide an innovative and cost effective solution for professional grade acoustical measurement. 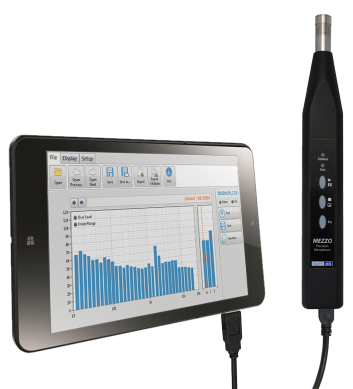 Designed to be used with a tablet PC or any other Windows based PC, the MEZZO Precision Microphone takes advantage of the DSP capability for signal processing, and flexibility of computers for display, storage and communication. 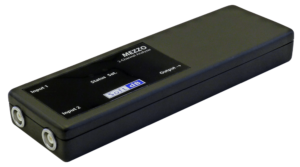 Along with the MEZZO software, the MEZZO measurement systems comply with IEC 61672 (2013) Class 1 standard. 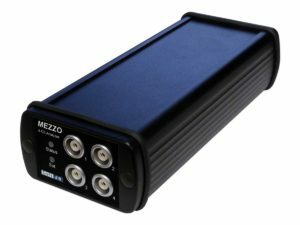 The Waveform Recorder Module is the perfect tool for advanced sound and vibration signal processing. More than just a recorder, it also provides several post-processing tools: Time History, FFT Spectrum, Fractional Octave Spectrum, Statistics, FRF, Waterfall and more. 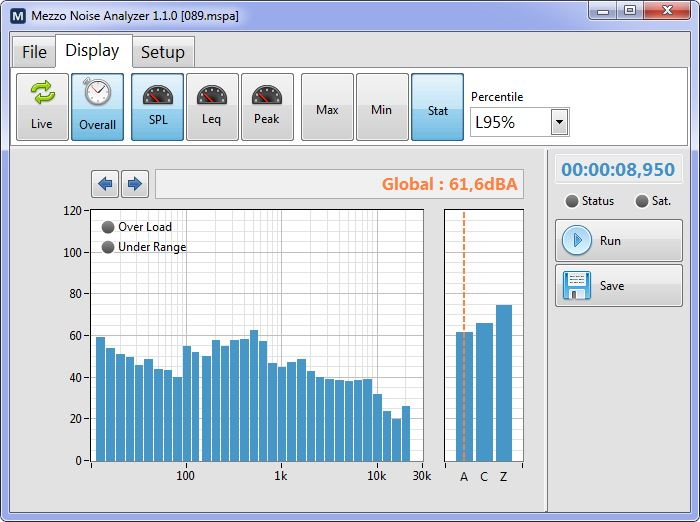 The Noise Analyzer module contains the essential features needed for a professional sound level meter and real-time spectrum analyzer. This module is included with the Mezzo Precision Microphone. The Noise Monitor module contains the essential features needed for a professional sound level meter and real-time spectrum analyzer. 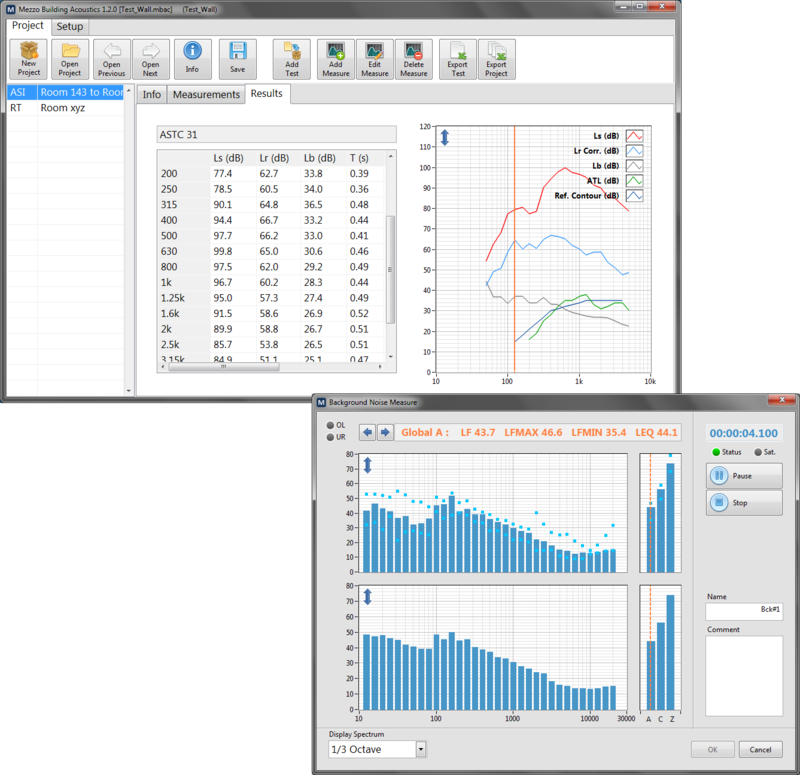 The Noise Monitor Module contains many useful features for long term monitoring: camera snapshots, integrated weather data. 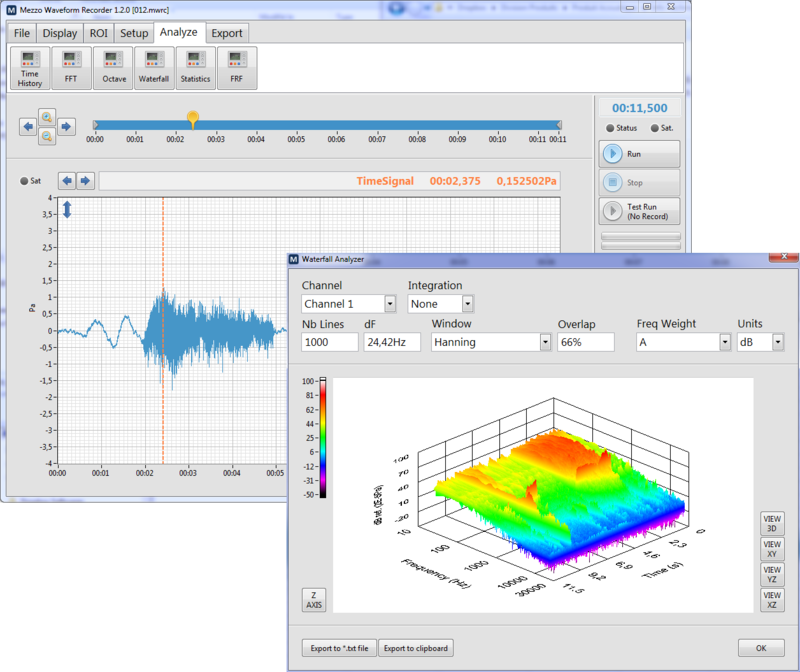 The Building Acoustics Module is the perfect tool for the noise specialist providing an integrated project file with on-site reports. The Building Acoustics uses a project file approach combining measurements and test reports in a single file. 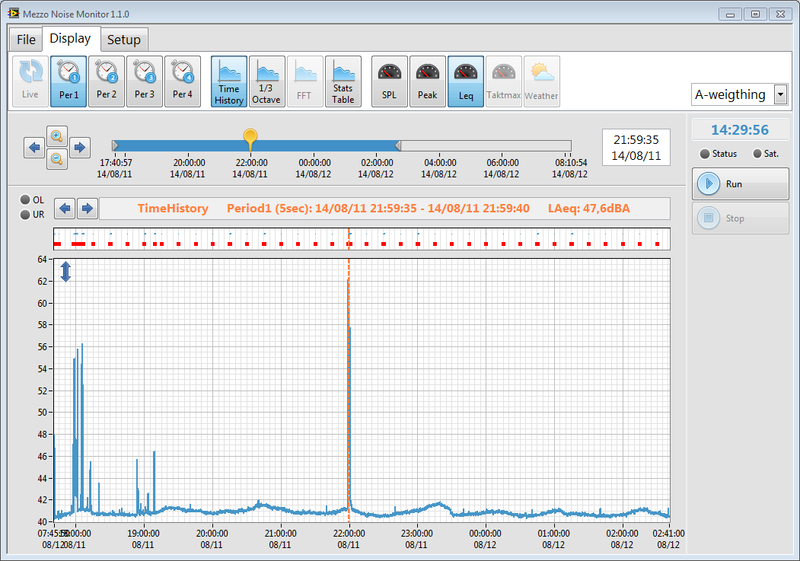 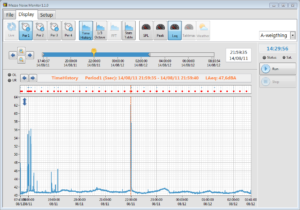 This approach makes it easy to manage a large quantity of measurements and provide on-site reports. The on-site reporting allows not only to view the test result instantly, but also to make sure that no measurement was forgotten.